Nicholas W. Futules is the Executive Chef and Co-Owner of Futules' Harmar House. We are the area's leading banquet facility, with award winning cuisine, extensive top shelf bar package, and overall best affordable pricing. Other bar options are available upon request. Please click here to view our off-site catering menu! 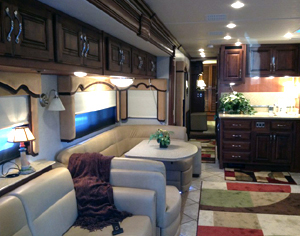 We have floor plans available for a group as small as 50 people and groups at a maximum of 500 people. Feel free to take a look at our example PDF floor plans below. 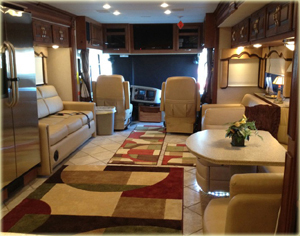 Let us take your Bridal Party in style with our New 44 ft. Tour Bus Coach. 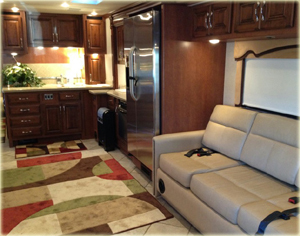 All the comforts of home and plenty of room to move about the cabin. Also, we offer Direct TV and Bathroom on board. No limousine offers room like this! We will provide pick-up service from Futules' Harmar House to all your destinations for the day. Assorted beverages served aboard along with assorted cheese and vegetable tray. We have two passenger vans available and offer roundtrips to four area hotels: Hampton Inn, Town Place suites, Holiday Inn Express, Days Inn, and the Quality Inn. No other banquet hall in this area offers this service! Please call for cost information. Please call Nick Futules with questions at 724-274-4822 or on his cell at 412-889-0053 or e-mail nick@harmarhouse.com.